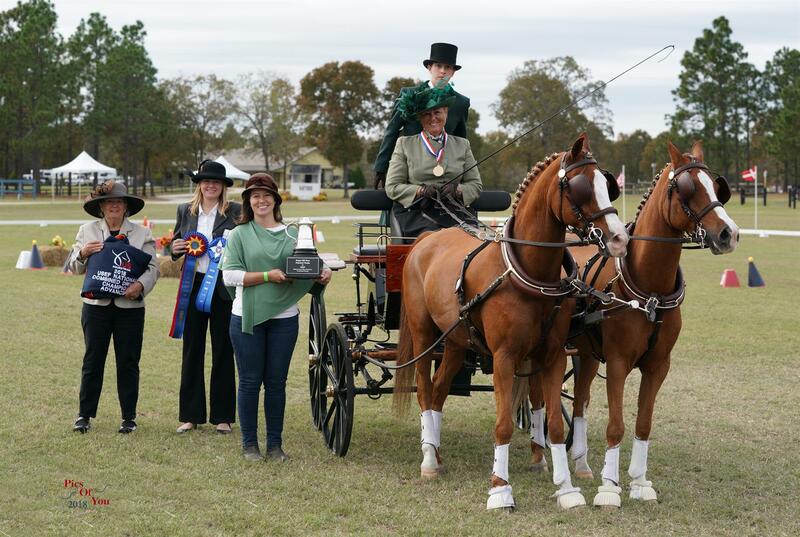 Raeford, N.C. – Three advanced pony combined driving national championship titles are up for grabs at the Southern Pines Combined Driving Event (CDE) running April 12-14. With the competition serving as one of the selection trials for the 2019 FEI World Driving Championships for Ponies, the driving athletes aim to display a strong performance while vying for national championship honors. Six drivers will compete with their talented ponies in the advanced single pony division. Jennifer Keeler and Amazing Grace, the 2018 USEF Advanced Single Pony Combined Driving National Champions, return to defend their title. Keeler (Paris, Ky.) and her nine-year-old Dutch Harness cross mare won their last two outings at the Palm Tree CDE and Live Oak International en route to the Southern Pines CDE. Rebecca Gutierrez (Windsor, S.C.) and Naria BW 6, Mary-Anne Mitchell’s 16-year-old Haflinger mare, have had a solid start to their year and hope to improve on their last national championship finish, where they placed third. A small but mighty field of three combinations will strive to determine the final placings. Katie Whaley aims to add another national championship title to her resume with the help of her team of Tommy, a 16-year-old Welsh cross gelding; Tanner, a 13-year-old Welsh cross gelding; and Teddy, a six-year-old Welsh Pony gelding. Whaley (Paris, Ky.) and her ponies took home wins at the Palm Tree CDE and Live Oak International leading up to the Southern Pines CDE. Keady Cadwell (Southern Pines, N.C.) and Mary Phelps (Columbia, Ky.) will be hot on Whaley’s heels throughout the competition. Wendy O’Brien hopes to collect a new national champion title in the advanced four-in-hand pony division. O’Brien (Aiken, S.C.) won the advanced pair pony title in 2012 and is taking the step up to drive four-in-hand. 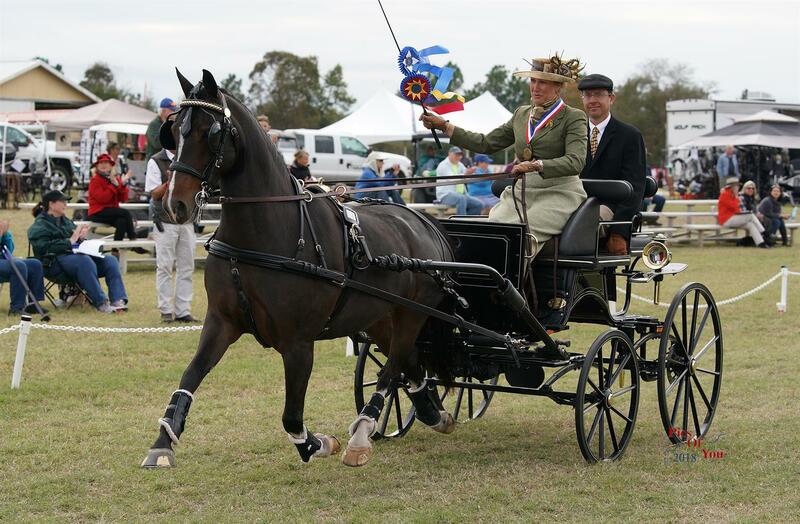 Drivers presented their ponies to the Ground Jury at Thursday’s FEI Horse Inspection. Championship competition begins Friday with the dressage phase starting at 2:12 p.m. ET. The marathon phase gets underway Saturday at 9 a.m. ET, and competition concludes Sunday with the cones phase at 9 a.m. ET. Stay up to date on the competition by following USA Driving on Facebook and US Equestrian on Instagram and Twitter. Use #USADriving.